Today was a lovely day. It was spent doing some brainstorming for a new writing project I am working on, having coffee at Stir at I-Square with a dear friend, and trying out some new products for the blog. First of all, do you see how shiny my hair is here? I think I have found one of the best shampoos ever. I have only used it once, so I will be following up, but it made my hair feel so soft, silky & amazing. The conditioner is a dream, too. 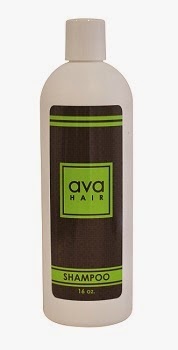 Have you heard of Ava Anderson Non-Toxic before? My friend, Holly Petrie (consultant #6132), is a consultant and I cannot speak highly enough about her. Next week, I will be doing an in-depth review of the products, but I did just want to share what I am enjoying so far. What do I have on this cold, but sunny Thursday? Everything here took me less than 5 minutes to apply. I am wearing the new Ava Anderson BB Cream in Ivory. I have it on over Benefit That Gal Primer, Urban Decay The Naked Concealer in Light Warm and under e.l.f. Studio High Definition Powder. I swept a bit of bareMinerals Clear Radiance over my face and my lipstick is Mary Kay True Dimensions Lipstick in Mystic Plum. Looking for a consultant? Jenifer Beldue is stellar! As an aside, I have not been a Mary Kay fan in YEARS. In late 1994, I started selling the products from my dorm room. That is when the kit was a boxy pink bag and consultant had to wear skirts or dresses. I remember wearing a fuchsia bucle blazer from the Limited for my dorm Mary Kay parties. Back then, all of the packaging was pink. That only lasted until I started working freelance for Lancome. I have to tell you-- the company has REALLY stepped up its game. 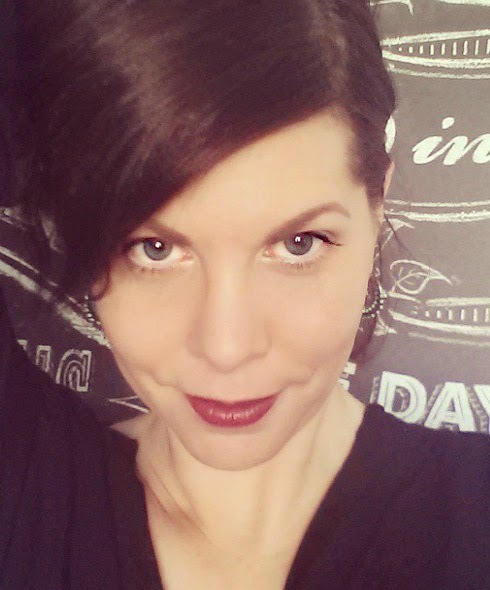 A friend gave me a lipstick (seen above in the picture) and I just ordered some other things from my consultant, Jen. This lipstick is better than my beloved Cargo lipstick. It is creamy, long-wearing, and I just LOVE how it makes my lips feel. On the brows, I have on Anastasia Beverly Hills Dip Brow in Soft Brown, with the Urban Decay Naked Basics palette. I curled my lashes with the Tarte Eye Lash Curler and put on two coats of black Ava Anderson Mascara, which is REALLY nice! It reminds me of the one from Honeybee Gardens. I set my makeup with Perfectly Posh I've Been Set Up! Setting Spray. Get all your Posh from my friend Cassandra. Do you have any new favorite products to share? I'd love to hear!